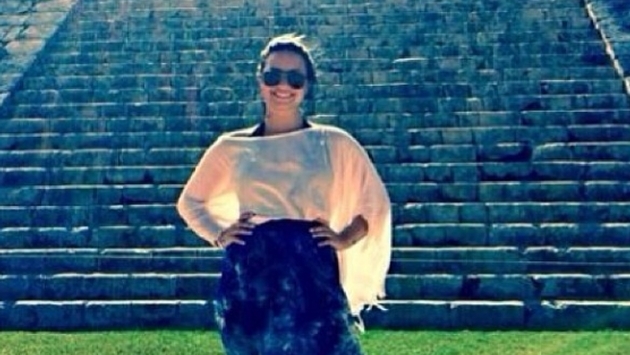 Days after Demi Lovato, 21, showed off her smokin' body on the sands of a tropical beach, she evidently headed to Yucatan, Mexico and took a photo in front of the Chichen Itza! Based on the photo, Demi appears quite proud of her venture, as she should be. There's nothing better than travelling and experiencing new places. The former X Factor judge is taking advantage of some down time before embarking on her Neon Lights Tour, which will kick off in February in Canada and run through May. What do you think? Would you rather be on a tropical beach or at the foot of the Chichen Itza?